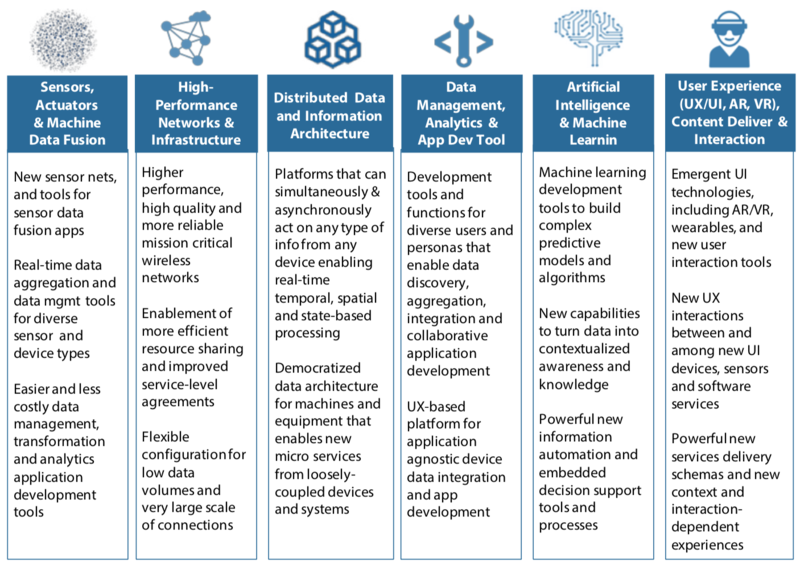 Most business observers and technology innovators agree that the future of enterprises will be shaped by efficiently designed, pervasively connected systems. Increasing connectedness of owned and non-owned assets combined with open technologies will enable more fluid data sharing and interactions between and among systems, users, businesses and institutions. The opportunity lies in a new realm of services based upon the convergence of networked computing and large-scale data management with real time machine intelligence. The intersection of these trends – what we like to call Smart Systems or the Internet of Things, Data and People – should create unimagined new values. But will it? Genuinely Smart Systems should re-think the whole relationship of people, machines, and devices to business systems. It must be built upon true, across-the-board digital automation, accomplished by enabling everyday electronic devices to communicate with and control each other, along with a whole new generation of information tools (“killer apps”) for managing rich, vast streams of meaningful data. The goal is to integrate people and devices into a new generation of systems that are self-sensing, self-controlling, and self-optimizing—automatically, without human intervention. On the technology development and supply-side of the equation, the rigid and fragmented nature of software offerings available today make it extremely difficult and expensive to develop effective Smart Systems and IoT applications. On the adoption side of the equation, business culture is the primary inhibitor blocking effective use of new technologies. When it comes to developing the required technologies to fuel smart systems and services adoption, most people assume that “the network and IT arms merchants” are taking care of it. They take it on faith that the best possible designs for future information architecture will emerge from large tech players. But those are big, unfounded assumptions. In fact, most entrenched entities are showing little appetite for radical departures from the legacy development paths they are on. Yet, these development paths will not serve the needs of a genuinely connected world. » A new generation of integration and equipment management software that can enable free flowing data aggregation, data discovery, integration and collaborative [community-driven] development and massive re-use of software components. So why is this all so hard to really get behind and make happen? It’s as if every established technology company and the insane array of [naïve] start-ups arrived to the “Internet of Things” opportunity claiming they could address this new opportunity with just the tools at hand; a giant bag of “pre-existing” conditions” none of which really anticipates IoT and Smart Systems tech developers, market developers’ and users’ toughest challenges. Interoperability, latency, database dependency and user complexity have not really been addressed by the majority of players who have entered this arena. Instead, we have this crazy story about so-called platforms that can solve everyone’s challenges when so few of these stories address real software development requirements. We need to move beyond today’s confusion to a “post-platform” world supported by capable new tools and software. Read our trends piece on how to overcome these challenges.